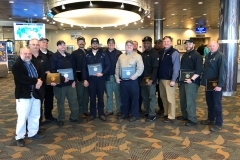 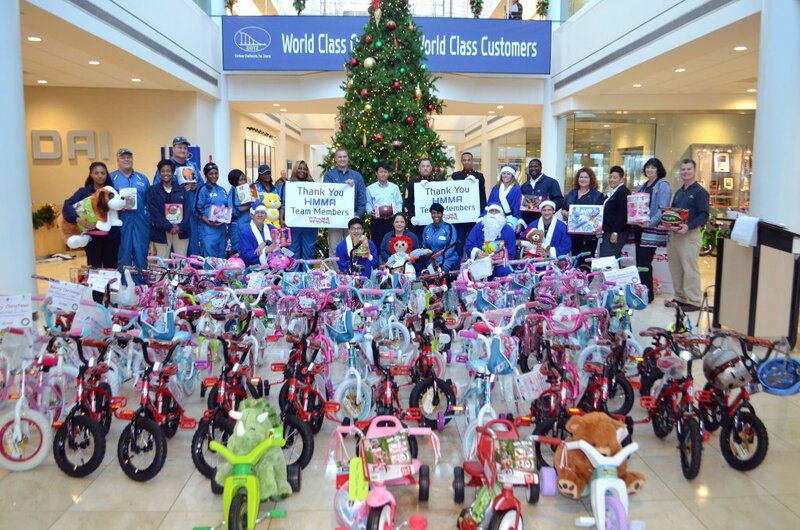 HMMA 2015 TOYS FOR TOTS DRIVE | Hyundai Motor Manufacturing Alabama,LLC. 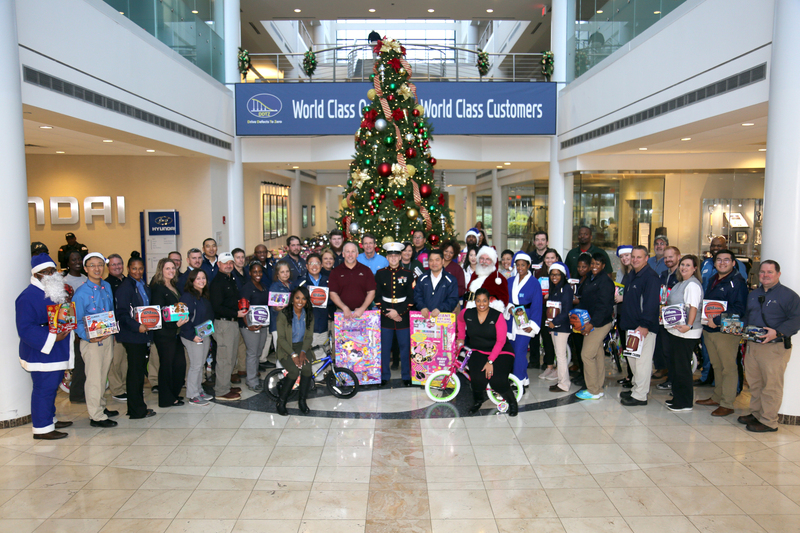 December 16, 2015 – Hyundai Motor Manufacturing Team Members held a toy collection and fund raising drive during the month of December to support the U.S. Marine Corps Toys for Tots campaign. 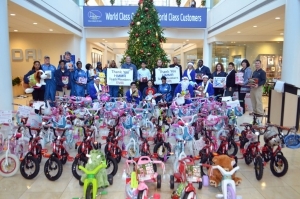 Team Members from every area of the plant shopped at local department stores to find bicycles and toys for all ages, donating a total of 421 bicycles and six boxes filled with toys. 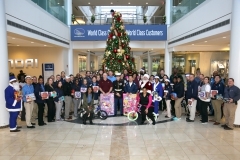 Team Members also donated more than $1,500 to the Toys for Tots Foundation.